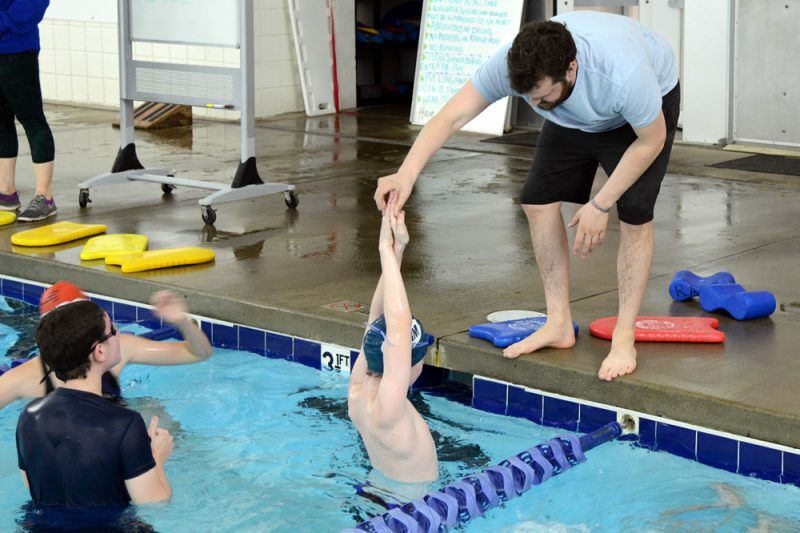 Life Outside the Law: Frank Bozzi ’19L and Morgan Richter ’20L Law students Frank Bozzi and Morgan Richter bring years of experience to their positions as coaches of area swim teams. Frank Bozzi ‘19L attended NYU, where he graduated with a degree in politics and public policy. A lifelong swimmer, Bozzi swam at NYU all four years, serving as team caption his junior and senior years. 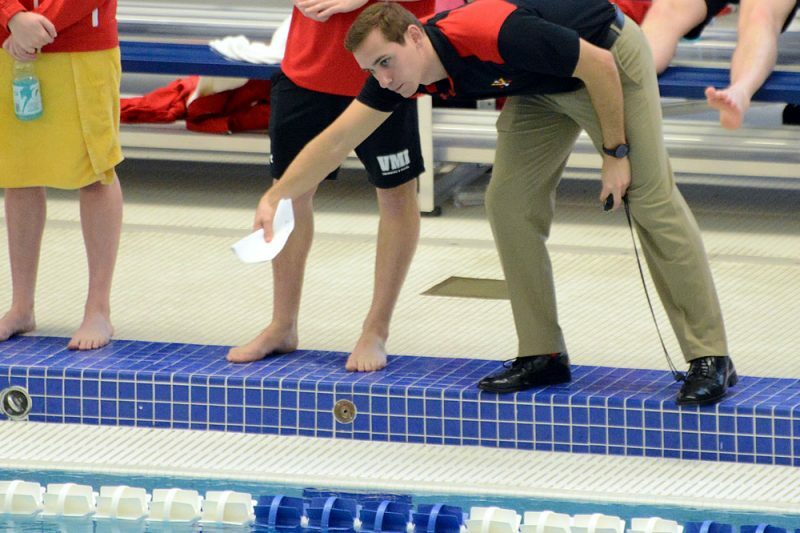 He just wrapped up his second season as Volunteer Assistant Swim Coach for the Division I men’s and women’s swim teams at VMI. Morgan Richter ‘20L graduated from Goucher College, where he was an All-American swimmer in the 200 butterfly. He serves as an assistant coach for the Rockbridge County High School swim teams and a USS coach for the local youth swim team, the Storm. Below, Bozzi and Richter share some thoughts on why they made this commitment to coaching given the rigors of law school and how the experience has served them as law students. FB: Swimming has always been a love of mine, which made returning to the sport as a coach fairly easy. While I originally had the intention of coaching just a few hours a week, the team has become a “proxy family” of sorts, and I soon found myself spending most of my free time on VMI’s post. When I first applied to law school, I never expected to have such a rewarding experience outside of the classroom during my law school career. By going to school in small-town Virginia, it has allowed me to have a direct impact on the community I’ve now called home for three years. It’s become hard to walk down main street without seeing someone you know, and I don’t believe that I would have had this experience at any other law school. Coaching swimming at VMI has definitely put the stress of law school in perspective. Law school is unquestionably demanding. However, after seeing how the cadets physically and mentally sacrifice so much in preparation for their service, it makes you put your own hard work into perspective. Frank Bozzi cheers on one of his swimmers during a meet at the W&L Natatorium. MR: Swimming has been an integral part of my life for a long time. The friendships and relationships that I established through my time at the pool are some of the closest ones I have to this day. Helping with swimming gives me a break from the stress of law school. It gives me an opportunity to teach a younger generation something that helped me get to where I am today. I remember the days of countless swim practices, staring at that black line for hours upon hours with a singular goal in mind. Having the opportunity to offer assistance to help these kids get to where they would like is rewarding in itself. Coaching is definitely something that I knew I wanted to get involved in upon the end of my swimming career. Due to the smaller size of the Lexington community, it seemed to be pretty easy to get my name out there to potentially help with coaching. Morgan Richter helps a young swimmer with his form during a practice of the Rockbridge Storm.